Facial Therapy, combining lifestyle, holistic and skin advice to help you look and feel your best. Enhances skin health by targeting spefic skin conditions and offers a deeply relaxing treatment including aromatic essential oils and soothing massage. A Neal's Yard Remedies Holistic Facial with Skevi isn't just skin deep, it's a sensual and enjoyable experience, giving skin benefits and a greater sense of wellbeing. It addresses skin concerns and encompasses overall skin health. Upon consultation, Skevi will then choose from an extensive Neal’s Yard Organics aromatic skincare range and botanical formulas to develop a skin therapy to rejuvenate and nurture not only your skin but your emotional state too. Soothing, lifting and relaxing. Pressure Point massage stimulates the circulation, bringing oxygen and nutrients to the skin for a natural radiance. Includes a nourishing cleanse, exfoliation, a specialised mask to treat the underlying skin condition. Enhance your skin naturally with the potent and rejuvenating properties of frankincense combined with a Neal’s Yard signature organic facial. Designed to improve the appearance of tired and dull skin, it is deeply restorative and reduces fine dehydration lines. Any skin condition will be left feeling hydrated, smoother and rejuvenated. A radiance boosting facial treatment that has replenishing and balancing damask rose and antioxidant-rich wild rosehip oils at its heart, to leave skin beautifully nourished and glowing with radiance. This luxurious treatment is designed to quench dry, thirsty skin. Deeply nourishing orange flower oil, or neroli is truly the hero of this facial treatment. Leaves skin feeling super hydrated, supple and radiantly revitalised. Perfect for oily and combination skin, this intensely purifying treatment deep cleanses and it's adecongestant, drawing out impurities while helping to balance excess oils. Skin will feel refreshed, clearer, hydrated and more radiant. "One of the best facials I have ever received and it's all down to Skevi. It's a great feeling knowing that someone is taking care of you and cares about the work they are carrying out. It truly did exceed my expectations." Dermalogica’s philosophy and vision for skin health vision rests firmly on a product line that is free from common irritants and ingredients that can cause irritation and breakouts. Dermalogica has never used Lanolin, artificial colours or fragrances, Mineral Oil or other cheap fillers in its formulas. The focus is on improving skin health with skin treatments administered by trained skin therapy professionals. Dermalogica’s specialised training sets an industry standard. Skevi has achieved Expert and Specialist status certified by the International Dermal Institute. This soothing skin treatment is perfect for calming sensitive skin conditions targeting the triggers behind redness, itching and stinging, while helping to recover skin health, providing long-term relief from flare-ups. The treatment uses a calming oatmeal mask with steam to instantly reduce redness and inflammation. Jump start adult breakout clearing with this purifying, detoxifying professional treatment that promotes skin clarity, reducing bacteria and inflammation beyond the treatment. Give your skin the ultimate power boost with this facialtreatment designed to help firm, smooth, nourish and regenerate. AGE Smart helps control the biochemical triggers that lead to skin ageing whilst hydroxy acids and Retinol lift away dull skin cells. Skevi trained with Dermalogica in 2001 and has worked through various levels and achieved certified Expert status. After having invested in a minimum of 85 hours of study at the International Dermal Institute . "Just had an amazing facial with Skevi. Delighted at how clean and bright my skin looks and the only therapist ever to not make my hair look a mess and oily. 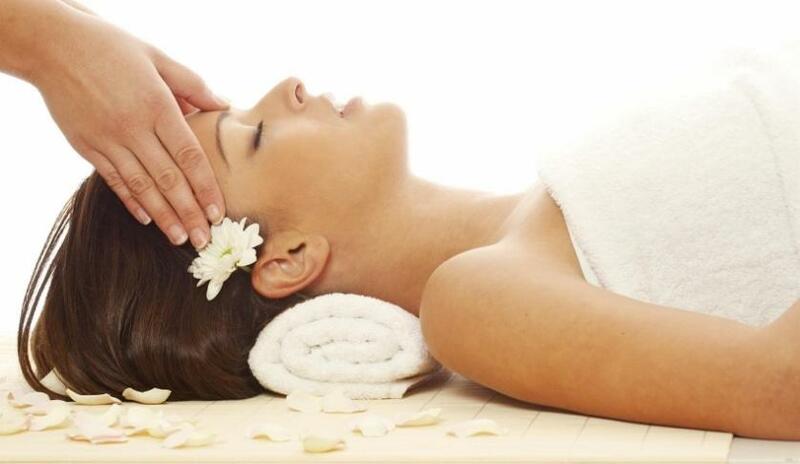 The facial massage was given with brilliant pressure and she was very thorough with the whole cleansing. The arm massage added in whilst the mask was on was a lovely bonus. Definitely will be back. Thank you for your amazing treatments today"
One of the main purposes of a skin treatment is to improve cell renewal, sweep clean and remove stagnant skin cells, toxins and congestion caused by pollution, lifestyle and the surrounding environment and to nourish and hydrate with massage and high quality, all using professional products that I choose personally for your skins needs. If there is an overproduction of sebum, the skin’s natural substance that moisturises can lead to skin problems, including blackheads and breakouts. So by sweep cleaning the cells and pores we can remove dead skin cells and toxins from the skin. Professional exfoliation using fruit acid enzymes are gentle yet powerful enough to replenish surface skin cells and brighten and renew the skin. A facial massage is in my opinion THE most relaxing of all! Pressure points and gentle lymphdrainage over the face and around the eyes and eyebrows helps to release pressure in these vulnerable areas which hold tension. The flow of oxygen-enriched blood to the skin cells is increased. This improves circulation and gives the skin a healthy glow as it plumps cells with nutrients and water, reducing dehydration lines and nourishing the skin! Facial treatments feel divine! 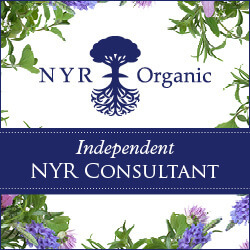 I use a variety of aromatherapy additives and beautifully blended botanicals which treat the skin, but smell amazing and relieve stress, encouraging a deeper sense of relaxation and peace of mind. Our skin renews itself every 28 days, sloughing off depleted and dead skin cells and if we practice good skin care, they’re replaced with new vibrant cells. Investing in your skin’s health can keep hydration levels high, keep toxins out, nourish and renew. A skin treatment is recommended every 2 weeks as a course, followed by a treatment every 4 weeks to encourage cell turnover and renewal and maintain skin health and overall condition. What will happen during your treatment? A skin treatment begins with an initial consultation and assessment of your general skin health, lifestyle and hydration levels. If you have any issues or concerns with your skin you can discuss them at this point. Treatment begins with an aromatic oil cleanse, followed by a chosen treatment wash or cleanser to further resurface and remove debris from the skin. A series of personalised products are chosen based on your skin’s needs and your desired outcome. Professional exfoliation will include fruit acid enzymes, which are gentle yet powerful enough to replenish surface skin cells and brighten and renew the skin. A deeply relaxing neck and shoulder massage, while a nourishing mask penetrates the skin, works wonders. This treatment is completed with a serum and a moisturising option perfect for you. An optional SPF and tint can be applied afterwards too. What treatment should you choose? Skevi will discuss any skin concerns with you or go through any skin and lifestyle questions you may have before choosing a range of professional products and aromatherapy additives for a tailored treatment.